The place is amazing, and the view is so beautiful. 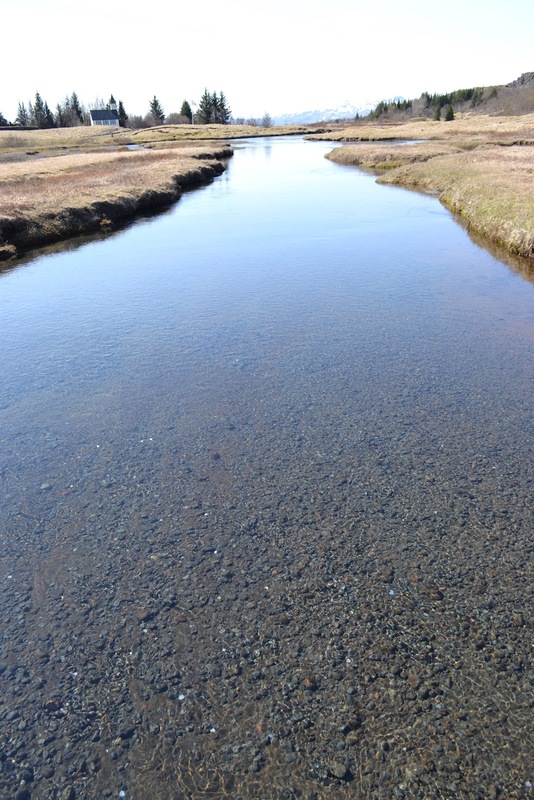 The water there is so clean and clear, and I don't know why some people still throw coins into the water, as it is prohibited. 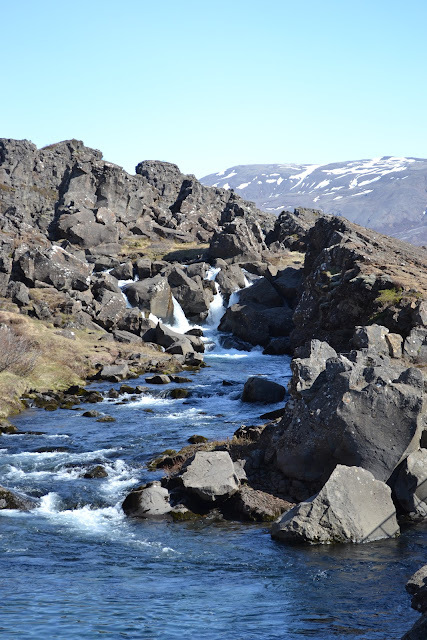 A river forms as the tectonic plates move away from each other. I keep thinking the owner of that house is so lucky to be beautifully located. That's how clean and clear the water was. A sign for "Do not throw coins" yet people are so stubborn. It would be nice to come back here and swim at night. The Earth is moving, and so are we. 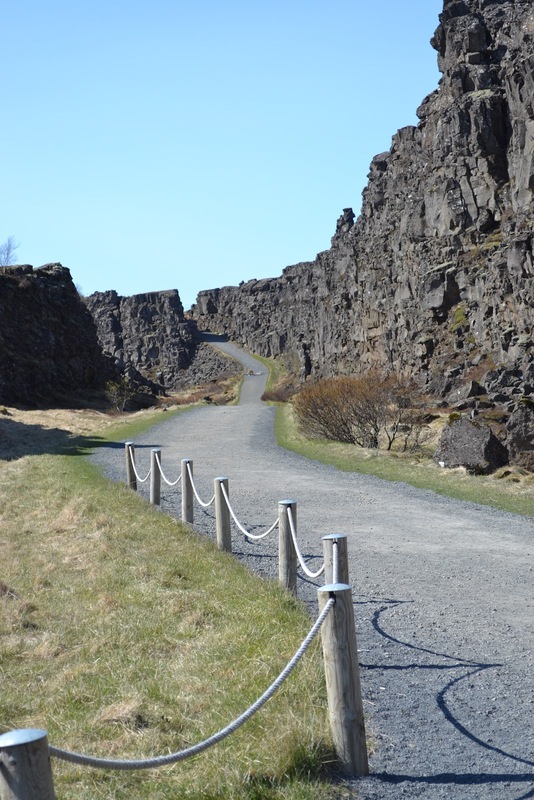 A road or pathway was built in-between the Eurasion and North American tectonic plates. 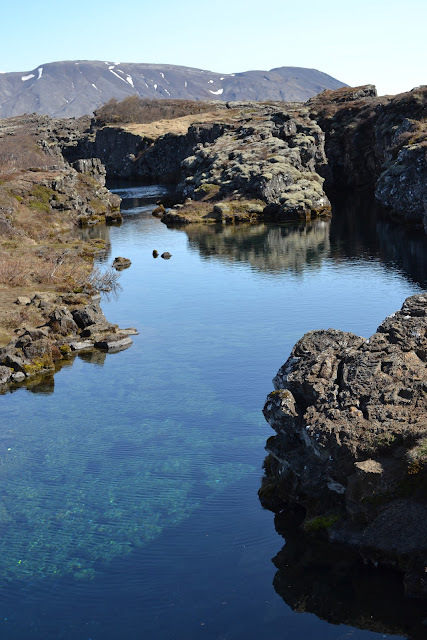 I want to go back to Thingvellir National Park again and perhaps camp there. I've seen quite a few campers who stayed there overnight. That part of the park we explored is just a fraction of the entirety of the park I look forward to exploring this area perhaps on foot next time. I am amazed that amidst the hustle and bustle of our daily lives in the urban jungle, there are still places on this earth that stand still and convey such blissful serenity. Thanks for sharing these photos with us. Hi Daphne, I really want to go back to Iceland. 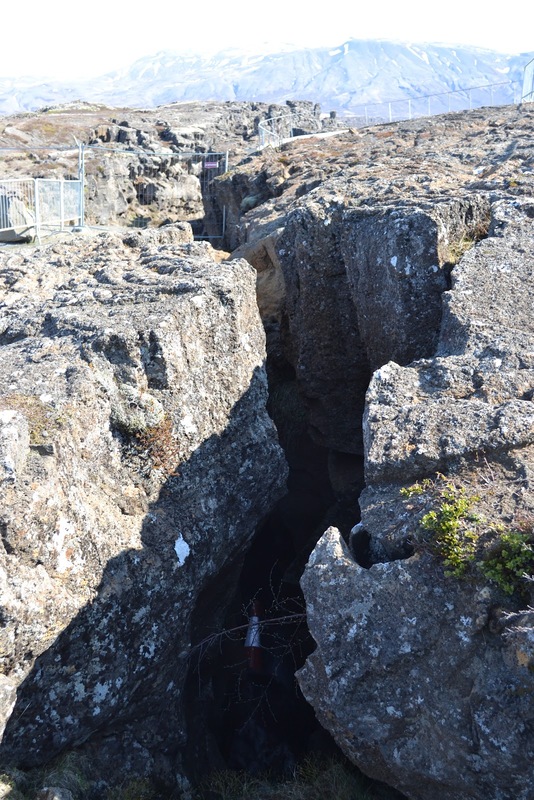 The landscape is so different there. The view is incredibly beautiful. It looks so peaceful. It's sad how stubborn some people can be. 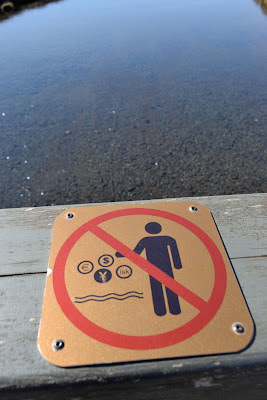 Perhaps they think tossing coins would bring good luck but sadly they disregard the risk of polluting the water. I agree...that place is so peaceful. incredible landscape isn't it? so amazing. really glad you saw it and shared it with us. i don't know what it is about water and the penchant for people to throw coins. out here in muir woods there is a river that the salmons use to go to the ocean; there is a sign that says do not throw coins, still people throw coins. sarap batukan. As Heart of Rachel put it, I think it's about "luck," which I think is really silly. I wish that's my house. Another open geological museum and wonder. I can feel the serenity of the place through your photos. The idea to camp is exciting. The house although it looks in isolation, the owner and family members are really lucky.